Basket of delicious ball-shaped sweets. 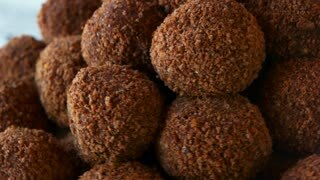 Yummy chocolate truffles with rum and biscuit crumbs. Healthy homemade candies. 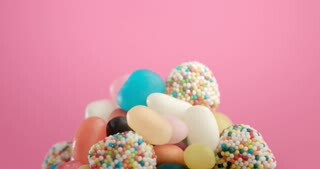 Brown candies on beige background. Dark candies laying on cloth. Popular sweets with chocolate shavings. Dense and delicious. Candies moving slowly on conveyor. Brown candies on conveyor belt. Chocolate shavings and sweet filling. Delicious dome-shaped sweets. Pile of homemade chocolate candies. Chocolate truffles rolled in cookie crumbs. Cake potato with biscuit crumbs. Luxury dessert for treating guests. Yummy ball-shaped dessert. Chocolate balls on plate and copy space. 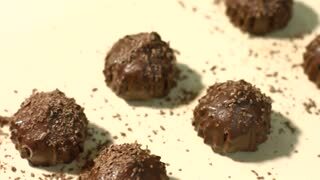 How to make chocolate truffles. 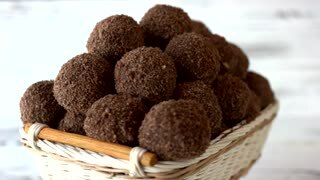 Candies coated in chocolate cocoa and biscuit. 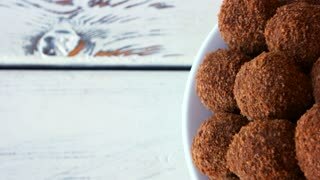 Sweet brown balls close up. 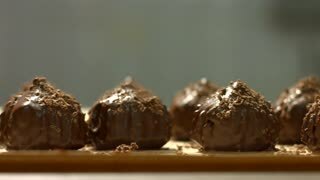 Chocolate balls cooked at home. Dark ball shaped sweets close up. 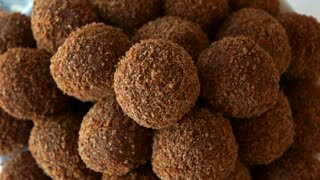 Yummy chocolate truffles sprinkled with crumbled biscuits. 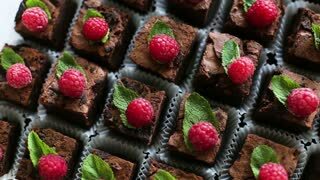 Delicious dessert cooked at home. 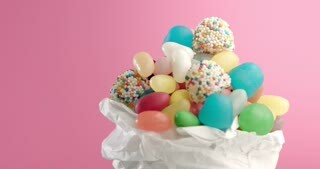 Pile of ball-shaped sweets in basket. 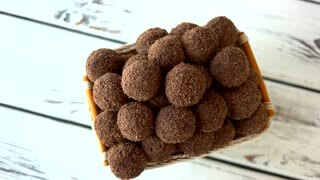 Homemade truffles in wicker basket. 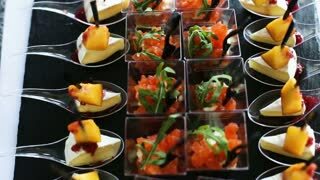 Delicious treats for guests. Ball-shaped sweets with glaze. 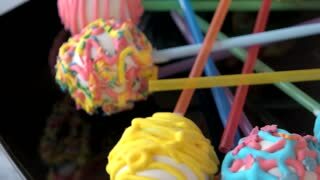 Candies with colorful icing. Delicious dessert for children.